When we open our minds to new ways of doing things, new ways of interpreting information or events, or both; and even by understanding more about ourselves and others, then new and different things start to occur. Good communication and being able to connect with self and with others in a more beneficial way. 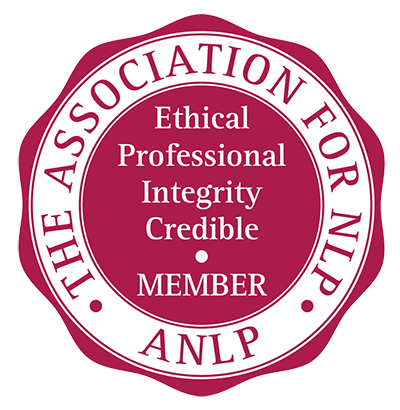 NLP was developed in the 1970’s by Richard Bandler and John Grinder. Grinder majored in linguistics while Bandler has a gestalt therapy background. Using their knowledge, and weaving in techniques from excellent therapists such as Milton Erikson, Virginia Satir and Fritz Perls, NLP was born. It isn’t just about therapy, it is about influencing, business, modelling excellence; useful tools to aid in creating the outcomes you want in life. NLP trains the brain to learn new skills, change thought patterns and even behaviours. It aids goal setting, coping with change and overcoming negative emotional patterns. It offers you a flexible approach to dealing with change which ultimately brings about positive, fast change and empowers you to adapt to an ever-changing world. I am a certified NLP Trainer and hold NLP Practitioner trainings annually.